Comments The intensity of fire and the lavish lustre of this totally eye clean, fully natural and untreated Ceylon Blue Sapphire is just amazing! 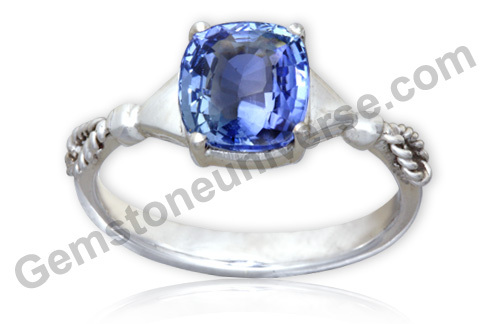 This powerful Blue Sapphire is also of a perfect shape with just the right proportions and symmetry! 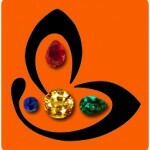 And at 3+ carats this is Jyotish powerhouse and a Sattvik gemstone! Set in a beautiful rustic sterling silver ring, it has made a very pleasing Saturn talisman!